The College of Education, recognized as a Center of Excellence in Teacher Education by the Commission on Higher Education (CHEd), offers a broad educational program that encompasses the development of educators both in the elementary and secondary levels of basic education.It aims to promote an educational system that will serve as a dynamic resource of the Church and nation in the process of social transformation instrumental to progress. 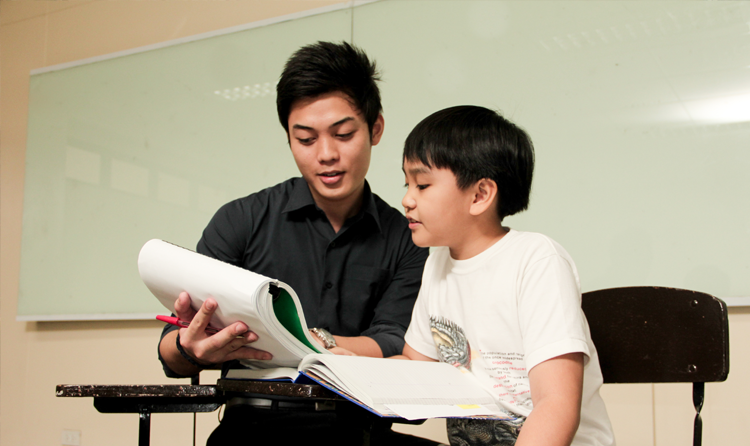 Through specialized disciplines devoted to the understanding of all aspects of child development, the College of Education aims to develop professional teachers who continuously inquire into the process by which children grow in knowledge and who endeavor to improve the learners' thinking processes. Incorporated in these disciplines is the deliberate and systematic formation of Filipino and Christian teachers who respect individual differences and the rights of others and accept personal responsibility for the establishment of a Christian environment following the tenets of Lasallian teachings. As such, the College of Education programs have also been awarded Level IV Accreditation by the Federation of Accrediting Agencies of the Philippines (FAAP) through the Philippine Accrediting Association of Schools, Colleges, and Universities (PAASCU).